If he beckons, they all come — the Democratic presidential field, that is, to bow down and pay homage to Al Sharpton. No fewer than 12 members of the 2020 pack will show up this week for the four-day National Action Network convention, where The Rev is holding court. That Sharpton — with his decades-long dubious record of racial incitement, demagoguery, corporate shakedowns, tax liens and other fiscal shenanigans — can summon Democrats like lemmings with the snap of his fingers is a deeply depressing sign of how low that party has sunk. An added irony: Even as Joe Biden, Kirsten Gillibrand et al. are embarked on “apology tours,” to beg forgiveness for various centrist “blots” on their records, they’re all flocking to pose with someone who has never apologized for a single misdeed. Sure, the national media tell us that Sharpton is now “mainstream.” Thank President Barack Obama (who wanted to shunt the Rev. Jesse Jackson to the side) and MSNBC for giving him a national platform. But nothing else about Sharpton has changed over the decades (save his weight). As The Post has long reported, corporations have shelled out millions over the years to buy his influence — or, more often, his silence. One especially memorable moment: The daughter of Eric Garner, whose death during a confrontation with police sparked Sharpton-led protests, was caught on video acknowledging The Rev is all “about this” — while rubbing her fingers to indicate money. Ever since the Tawana Brawley hoax, Sharpton has been all about just one thing: the glorification and enrichment of Al Sharpton. And that’s what all those candidates are promoting when they show up to kiss his . . . ring. 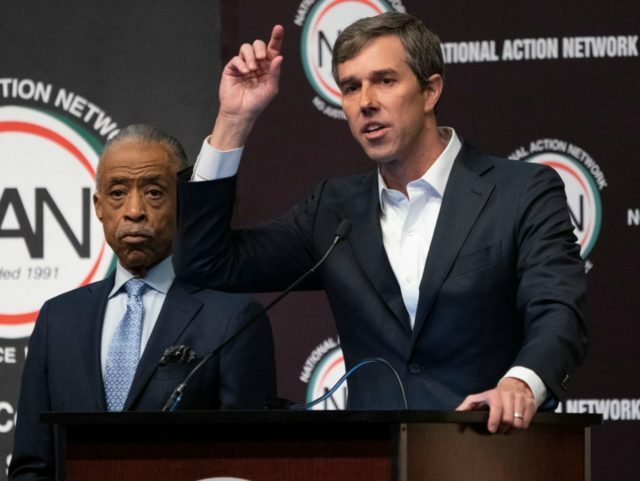 The Democrats are Al Sharpton’s party now, and they only have themselves to blame.